At our hospitals and the Baptist Cardiac and Vascular Institute, our interventionalists represent the world's best in percutaneous diagnosis and intervention. Many techniques used around the world were pioneered here by physicians at RASF. 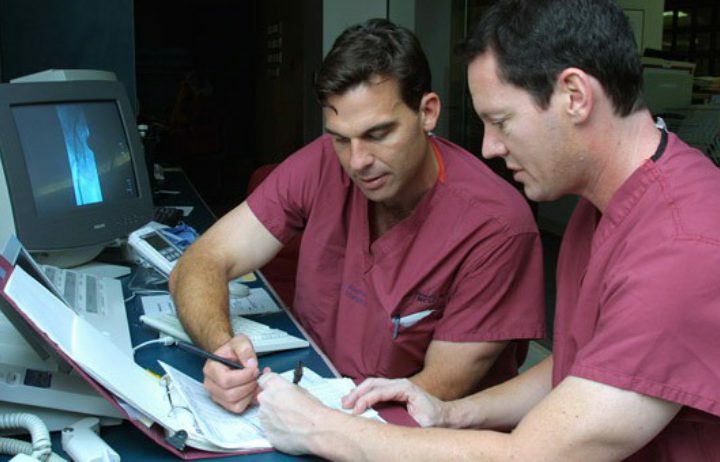 Many interventional techniques used around the world were pioneered by our physicians. Through the combined efforts of interventional radiologists and vascular surgeons, we offer a comprehensive approach to the evaluation, treatment and management of patients with vascular conditions. Our team includes some of the most experienced and respected physicians recognized, locally, nationally and internationally as leaders in their fields. To remain on the cutting edge and advance the practice of vascular medicine, our physicians actively conduct research, provide education to their peers as well as fellows in training and participate in related professional organizations. Over the past 30 years, the Miami Cardiac & Vascular Institute (formerly known as the Miami Vascular Institute and Baptist Cardiac & Vascular Institute) has established itself as the premier site for interventional radiology. The Institute has hosted hundreds of physicians, fellows and trainees as a center of excellence in endovascular care. It is home to the annual International Symposium on Endovascular Therapy and has become the most prestigious interventional radiology fellowship in the country. With a history of success and a future of possibilities, patients can rest assured that they will receive the best care by the best physicians in the best facilities available.